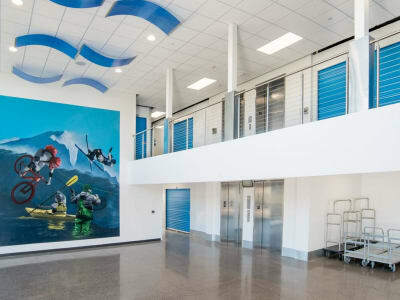 Our beautiful and newly built facility in Parker, Colorado, has a wide array of unit sizes, allowing you to choose the right storage unit for your needs. Whether you need a small climate-controlled unit to fit your growing wine collection, or you’re looking for a larger unit to house extra merchandise for your booming business, BlueMountain Self Storage has the right storage solution at a price you’ll love. In addition to our wide variety of storage unit sizes with the choice of traditional or climate-controlled, we also have pricing you’ll appreciate. BlueMountain is proud to announce a special promotion just in time for the holidays. In addition to the move-in specials available for each new rental, our tenants will also get to participate in our “Season of Giving” limited time offer. With your rental, we will donate a free unit or wine locker to a recipient of your choosing for 3 months. Send in your family, friends, school, church or local organization to pick the size that would help best with their storage needs. All of our units are available on a month to month basis and there is no obligation to stay after the promotion expires. Give us a call today for more information about how we can help you and your community get the best storage solution Colorado has to offer. Check out the extensive list of features that you’ll find at BlueMountain Self Storage on our Features page. If you have any questions about our storage options and prices, contact us today to learn more. 7 Days a Week 6 a.m. - 10 p.m.